Take private cars for instance, compared with the charges before August 1, the toll charges at both checkpoints have soared by a total of more than five times as of October 1, from RM5.90 to RM33. Even worse, Singapore has also increased its Vehicle Entry Permit (VEP) fee for foreign-registered cars from S$20 (about RM52) to S$35 (about RM90) per day. The levy war has caused businesses in Johor Baru to suffer with shops, hawkers, petrol stations and supermarkets recording a fall in revenue while public buses, factory buses, school buses, long-distance buses, taxis and lorries have either raised or are about to raise fares. We can imagine the pain and frustration of Johor Baru people. 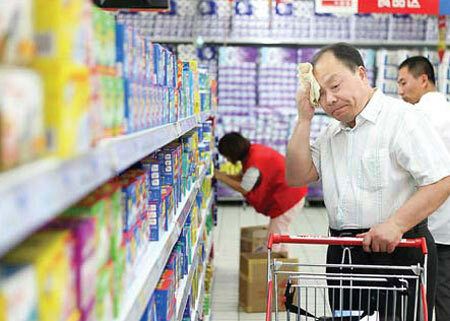 In fact, under the wave of price hikes, now, it is not only Johor Baru people are grumbling. The prices of RON95 petrol and diesel fuel have been raised by 20 sen since October 1 and it is the result of the government’s subsidy rationalisation effort. The so-called rationalisation requires the public to pay the price with another round of expected inflation and another wave of unstoppable price-rising storm. In other words, life could bring on more suffering for the ordinary public. Then, a few days ago, the Land Public Transport Commission (SPAD) announced the decision to deregulate school bus fares and the new “flexible” fare structure would be decided based on “negotiations” between parents and bus operators. As a result, I dare not even imagine how much school bus fares would be raised and I can only cite Federation of Malaysian School Bus Operators Association president Amali Munif Rahmat that “parents in some areas would no longer be able to bear the burden of fare hikes”. SPAD chairman Tan Sri Syed Hamid Albar said that the government decided to deregulate school bus fares as school bus operators have failed to follow the fare rates set by the authority in 2009 and parents have just paid the new fares. It is indeed an absurd logic. If the logic is acceptable, all laws could be abolished and prices of goods will not have to be controlled any more but should just let the market decide the prices. In addition to the “market forces”, the people are also worried about another invisible powerful “hand”, namely the Goods and Services Tax (GST) scheduled to be implemented in April next year. So far, even many business operators are still not clear about the GST, let alone members of the public. Business operators are worried that the GST might affect the people’s willingness to consume, causing business to fall and profits to shrink. Members of the public have equated GST with price hikes and voices of discontent can be heard every where, even before the GST has been implemented. If the GST brings another wave of price hikes, how would the people react and vent their anger and feelings of discontent? Will the BR1M assistance really be enough to offset the impact and burden on the people?